The Washington County Arts Council has worked to enrich the cultural, social and economic life of the community through nurturing the arts since 1968. The WCAC serves residents of all ages in this diverse and growing county in the Cumberland Valley, nestled in the gently rolling mountains of western Maryland. 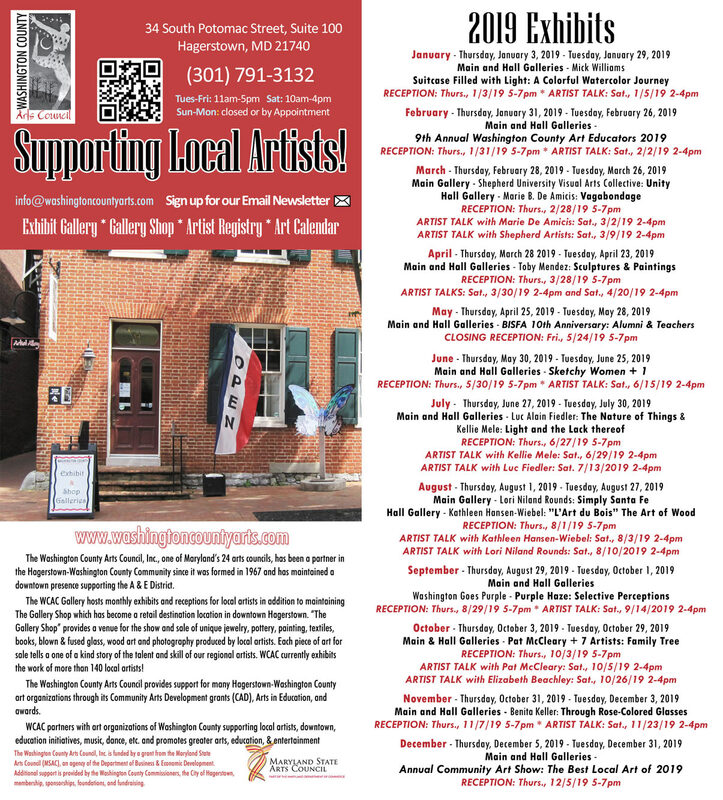 The WCAC provides a wide variety of programming; technical assistance; funding opportunities; and encouragement to arts organizations and individual artists, developing connections between them and those who desire to have art in their lives. PARKING: Please use the A&E Parking Deck located at 25 Renaissance Way. 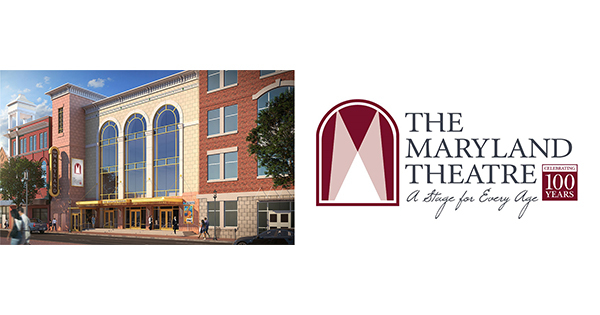 The Washington County Arts Council main entrance is off the 3rd level (Potomac Street Level). There is an elevator on each level for your convenience. 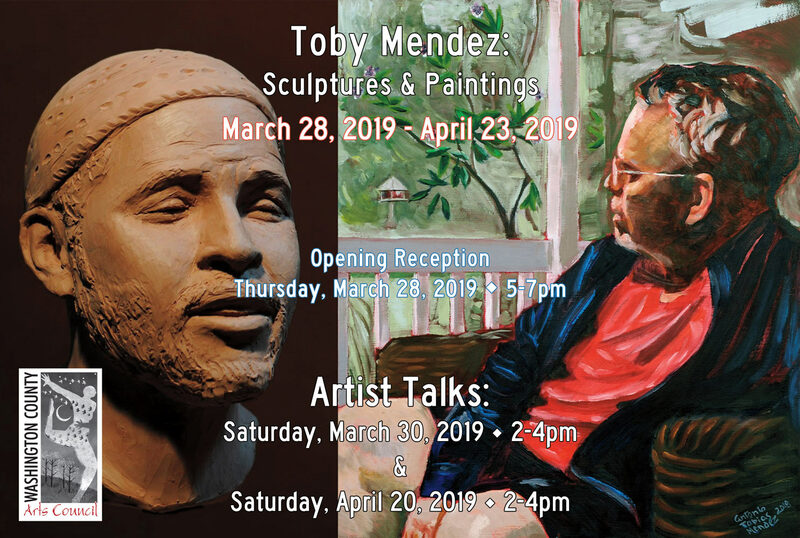 "Toby Mendez: Sculptures & Paintings"
continues through April 23, 2019. "Barbara Ingram School for the Arts: 10th Anniversary-Alumni & Teachers"
with a closing reception on Friday, March 24, 2019 from 5-7pm.